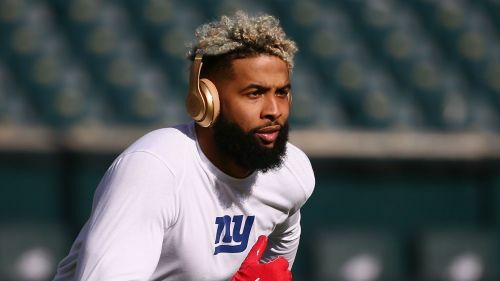 New York Giants general manager Dave Gettleman has broken his silence over the blockbuster trade that sent Odell Beckham Jr to the Cleveland Browns. Gettleman insisted the team truly had no intention of getting rid of their star receiver until Cleveland came knocking just before the start of free agency. "Talks were initiated by the Browns. [General manager] John [Dorsey] knew we weren't just going to give Odell away. There was considerable back and forth," Gettleman said on a conference call on Monday. "We didn't sign Odell to trade him, but things change. Another team made an offer we couldn't refuse." The Browns also acquired pass rusher Olivier Vernon for right guard Kevin Zeitler and sent safety Jabrill Peppers to New York as part of the package that landed Beckham. Cleveland traded their 2019 first-round pick (17th overall) and a 2019 third-round selection (95th overall), which they were originally dealt in a 2018 trade with the New England Patriots, to the Giants. "I completely understand why people would debate the merits of this deal," added Gettleman. "This trade really won't be able to be fully evaluated until we get further down the road. We did not enter this decision to trade Odell lightly. "We have positions to address. Our plan is to address those positions, plain and simple. We'll do that through whatever means necessary."